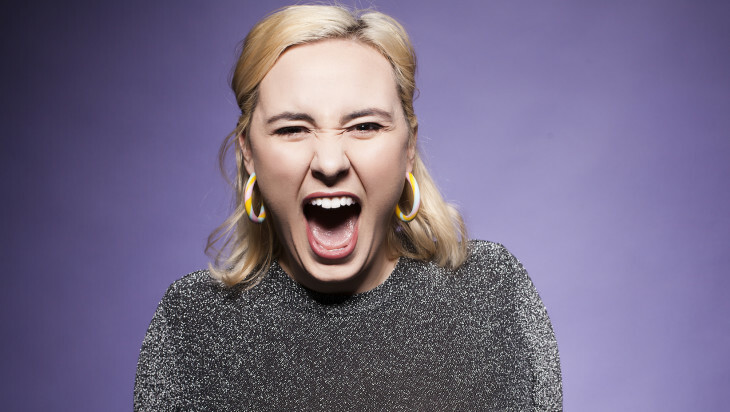 After a sell-out Sydney Comedy Festival debut, selected as a Sydney Comedy Fest Fresh Pick, Maddie HW is bringing her hilarious solo show Let’s Get Loud to Melbourne International Comedy Festival! Maddie HW is a Sydney-based improviser, stand-up and sketch comedian. In her time she has been the recipient of multiple accolades including Best New Improvisor, Best of the Fest'(Sydney Comedy Festival) and Cranston Cup Runner Up and performed at premier venues accross Australia including the Comedy Store, Enmore Theatre and Giant Dwarf. Maddie HW has been told by many that she is ‘too loud’. Throwing silence to the wind, this show is an upbeat take on being heard, performed by an exciting new voice in Australian comedy. In one hour, Maddie will have you in stitches with her electric onstage chemistry, weaving stand-up into an occasional high-octane song. Do your vocal warm-ups because it’s time to get loud! © All rights reserved. The Carlton 2014.